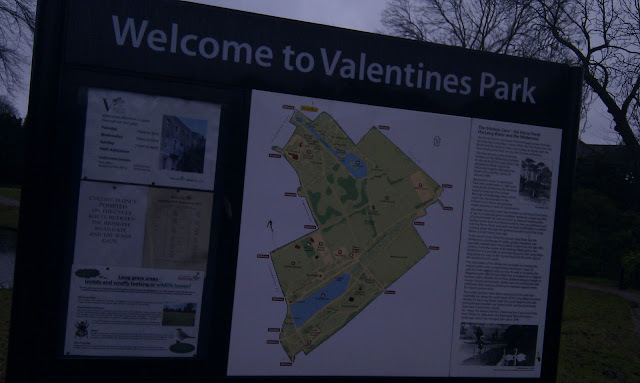 The journey to Valentines park was relatively straight forward. I took the Jubilee line to Stratford and then the central line to Gants Hill. From the station it's only a five minute walk to the park. It is worth leaving a little extra time because the start of the run is on the opposite side of the park, so in total it might take just over ten minutes to reach the start area. 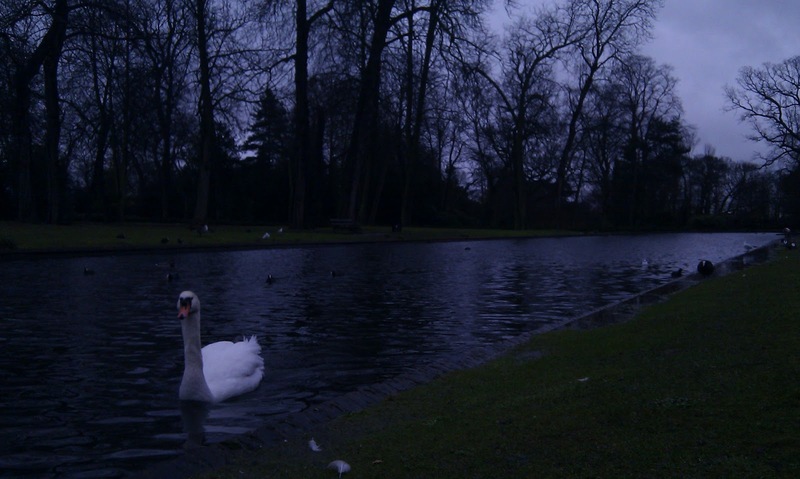 The park is really nice. There are quite a lot of water features - even more than usual on the day I visited as we were in the middle of a period of heavy rain. Once I had found my way over to the start area I bumped into someone that looked like a parkrunner. We chatted briefly and then he invited me to join him on his warm-up lap, where he gave me a tour of the course. When we arrived back at the parkrun registration area I headed off to the toilets to get changed and then chatted to a few more runners while we all huddled under a shelter until the inevitable moment arrived. The route consists of two anti-clockwise laps on tarmac paths with a few metres on grass at the very end as you enter the finish funnel. You pass some of the water features and even run across a couple of bridges. 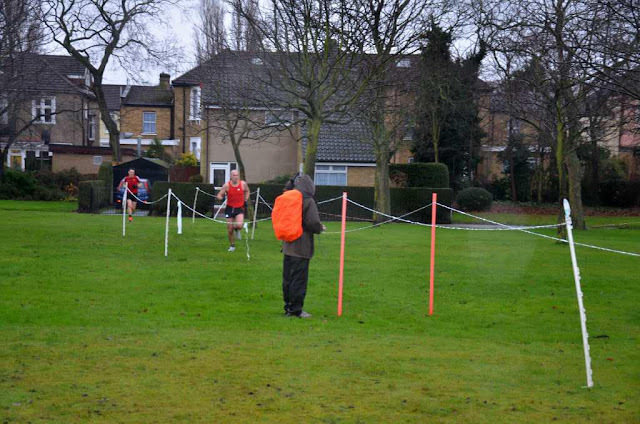 The course rises ever-so-slightly over the first half of each lap and then descends during the second half. It's not really that noticeable and I would put this down as a flat course. I hadn't been having the best week (a visit to the hospital and no training) so I decided to take the first lap easy and push a little harder on the second if I felt ok.
Because it was raining I had the added disadvantage of not being able to see properly as the rain had completely covered my glasses, then when I tried the clear them I just ended up smudging them. Anyway, I hit the half-way point and still felt ok so pushed a little harder on lap two. 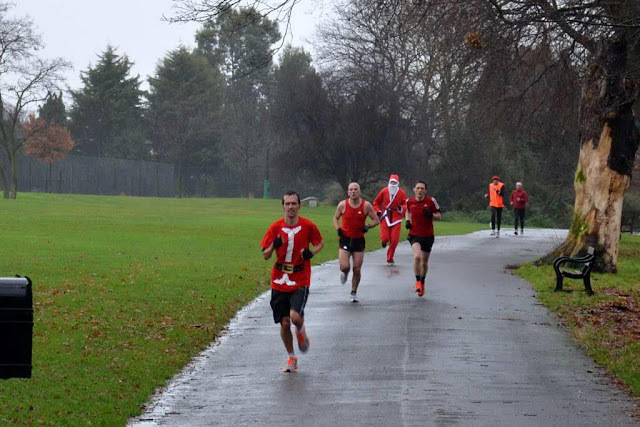 After finishing my 80th parkrun (also my 50th of 2012), I immediately got changed out of my completely drenched running kit and into my almost-completely-drenched tracksuit bottoms and jumper. I left straight after this, partly because I hadn't started Christmas shopping and it was stupidly close to Christmas day and partly because I was shivering uncontrollably and needed to get home and into some dry clothes. 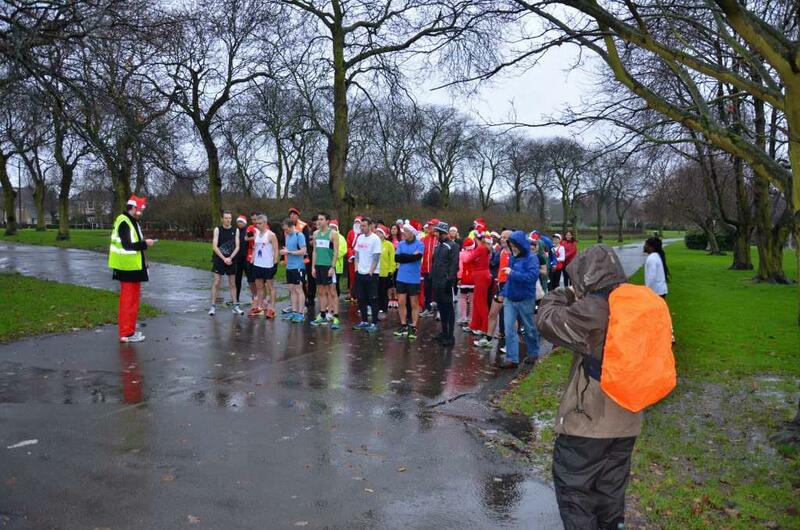 In summary, another really nice parkrun with really friendly runners. 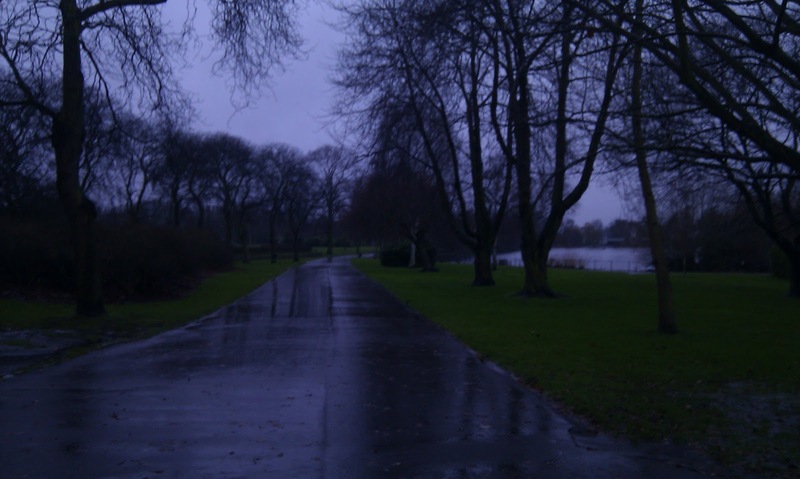 The park was lovely even with rain and dark skies, so I'm guessing that it is a stunning park when the flowers are in bloom and the sun is shining!